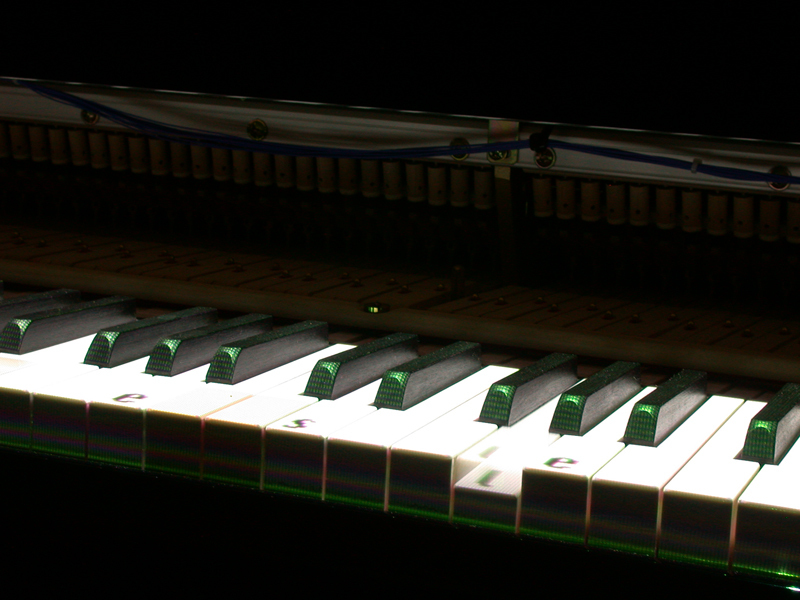 Des mots tombent, lettre par lettre, sur les touches d’un piano. Quelques couleurs en font autant. Leur poids semble enfoncer les touches, ce qui entremêle les trois langages : écriture, couleurs et sons. Présentée dans des versions préliminaires à Québec, Paris, Gand, Berlin, Montréal et présentée dans sa version définitive à Baltimore en 2012. 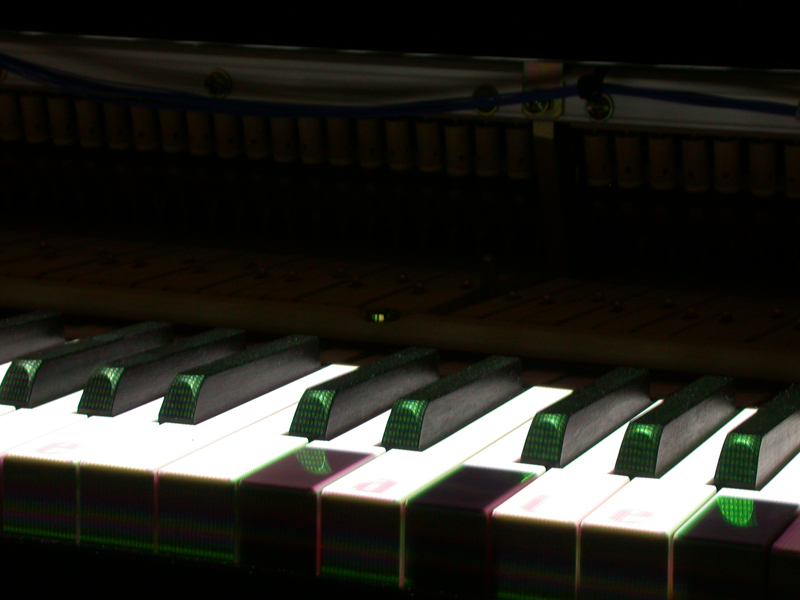 Words fall, letter by letter, on the keys of a piano. Some colours too. 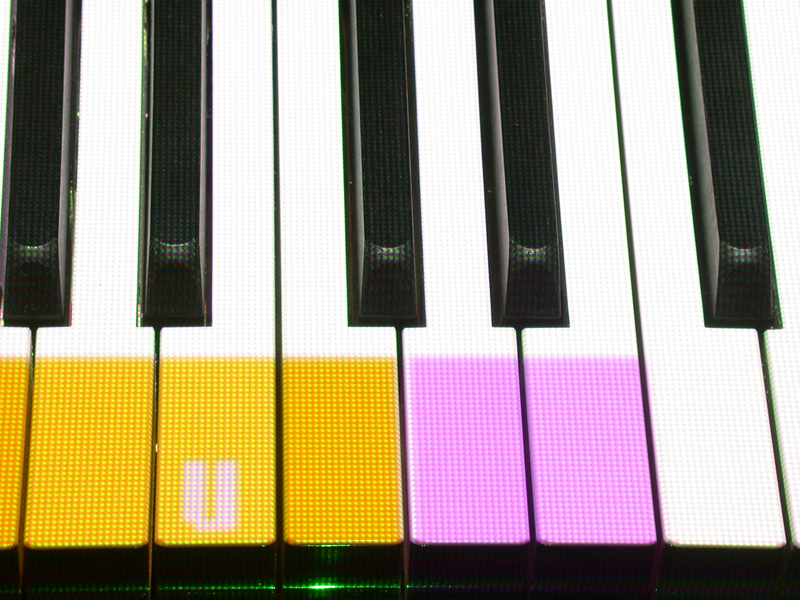 Their “weight” seems to push the keys down, which results in a mix of the three languages : writing, colours and sounds. 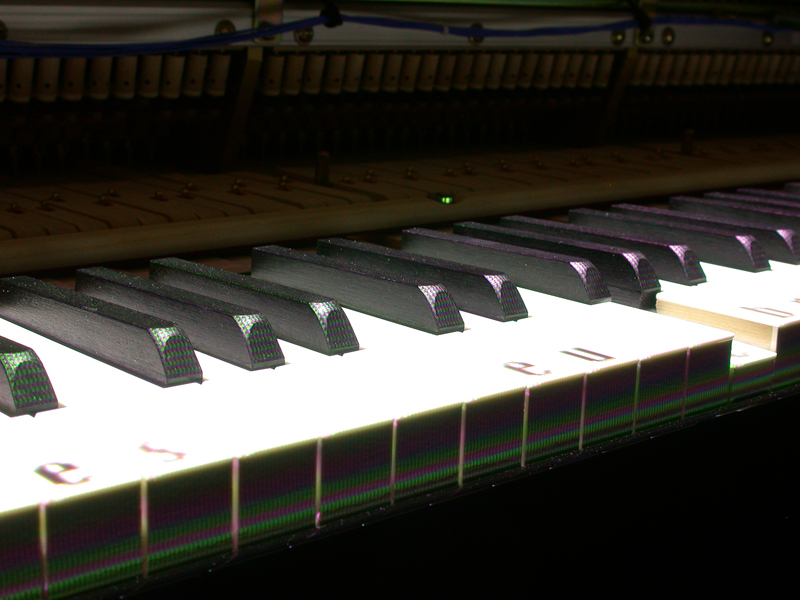 Shown in preliminary versions in Quebec, Paris, Gent and Berlin, Montreal and in its definitive state in Baltimore in 2012.
Letters fall like rain and play the notes of a grand piano in the installation “Lecon de piano” by Emile Morin and Jocelyn Robert for the exhibition Command Z: Artists working with Phenomena and Technology, curated by Lisa Moren for the CADVC (Center for Art Design and Visual Culture) at UMBC. All rights belong to the artists and Lisa Moren. 2012. Special thanks for Jordan Kitts Music and many others.